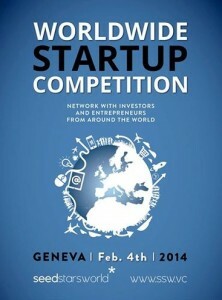 February 4th will see some of the best upcoming startups from around the world congregate in Geneva, Switzerland to determine the winner for the Seedstars World Final competition. From almost a thousand entries these startups emerged as regional winners in invite-only competitions in their various cities – Moscow, Dubai, Baku, Accra, Kigali, Lagos, Nairobi, Cape Town, Bangalore, Bangkok, Singapore, Hong Kong, Beijing, Seoul, Tokyo, Sydney, Mexico City, Santiago, Buenos Aires and Rio de Janeiro – and gathered together to compete for the grand prize of an equity investment of up to US$500K. Seven of these 20 startups hail from Asia, including Singapore’s regional winner NovaTap (dockphp), which developed a browser-based tool to code websites visually. During its journey across the world, the Seedstars World team held pitching events throughout Asia and staged in Bangalore, Bangkok, Singapore, Beijing, Hong Kong, Seoul and Tokyo. They acknowledge that there’s great potential in the early-stage startups they saw across the region, after observing the strong tech ecosystems many Asian governments and society are building and getting to know the entrepreneur mindset of Asia’s startup scenes. The 20 selected startups will go first to Lausanne to participate in a 2-days bootcamp at EPFL university – ranked 8th in the engineering and technology field in the world (2013) – to learn how to perfect their pitches. Accelerators including the Singapore-based Business Strategy consultancy Galixo will coach and mentor the finalists. The semi-final will be held at the world renowned MBA school, IMD – part of the Financial Times top 20 school (2013) – where the 5 finalists will be selected by a high-level and distinguished jury panel. The last round will take place on Tuesday 4th, in Geneva, and will be hosted by the renowned technology and innovation conference, Lift at the CICG. The 5 finalists will go on stage to pitch their projects in front of our international jury, composed of successful and world renowned entrepreneur and investors.